Fox's new drama 'The Resident' makes doctors into villains. That's not just bad TV, that's dangerous. Inaccurate and dehumanizing, the show stokes fear of medicine when what we desperately need is a rebuilding of trust. Along with a dwindling number of my medical colleagues, I’ve been watching Fox’s new TV show “The Resident,” which documents the experiences of an intern fresh out of medical school (the charming Manish Dayal), along with his chief resident (a brash but dedicated Matt Czurchy), and an assortment of other residents, nurses (including the wonderful Emily Van Camp), attending physicians and hospital executives. The show has been eviscerated with unusual venom by healthcare professionals on social media. The discussions about the show’s inaccuracies have gotten so heated the show’s co-creator, Amy Holden Jones, has taken to blocking those who call out the show's flaws — something of a badge of honor within my physician networks. There are many, many things that the show gets wrong. For example, residents are left alone to run the Emergency Room (ER), even when patients are critically ill and dying. In one episode, a pericardiocentesis — the removal of fluid surrounding the heart using a needle and syringe — is performed at the wrong location on the chest; a central line is placed weirdly, with the flourish of a scalpel. The sense of space and time is also baffling, as if no one on the show has actually walked the hallways of a hospital. The staff seem to teleport between the ER, the inpatient ward, the intensive care unit and the operating rooms (OR). The assumption of roles is similarly confusing: an intern spends four hours obtaining Medicare approval for a procedure; a resident scours the transplant list as if surfing Amazon Prime; another mans a nursing station during a staffing shortage. “The Resident” seems singularly intent on eroding trust in the practice of medicine. But one of these squirm-inducing decisions are what damns this show from a medical perspective. After all, the campy, joyous “Scrubs” is beloved by many in the health professions. “House” is also a perennial favorite among doctors, even as its internists performed eye surgeries and a million other practices well beyond their usual scope. These shows rarely adhered to strict accuracy and took gross liberties with physician practice and interpersonal drama. “The Resident” feels different, and that’s because it seems singularly intent on eroding trust in the practice of medicine. Among the many medical shows on TV, this one has distinguished itself with its absolute commitment to turn negative headlines into stark storylines, with no depth or nuance, in a way that feels at once ill-willed, destructive and clueless. Are hospitals forced to balance indigent care with insured care? Yes. But this is actualized by showrunners in the most over-the-top, bombastic way — with hospital administrators dumping uninsured patients by bartering over them via video conference. There is also an extended plotline about profits from chemotherapy mills, and I’m already cringing over what no doubt will be a climax involving big bags of money, mustache-twirling pharmaceutical representatives, and ostentatious physician vanity plates. We knew that a show called “The Resident” would portray trainees in their full glory, and that’s a good thing. My grueling residency training years are still fresh in my mind and are remarkably well suited to dramatization. However, it comes as a shock that most scenes do not include a single fully trained physician — the trainer for these trainees. Worse, when attending physicians are present, they often lack decency. The physicians in charge of this fictional hospital exemplify hubris, greed and rash decision-making. In each episode thus far, patients’ lives are sacrificed to their egos and ambitions. It is a jarring representation for those of us who interact with real-life doctors on a daily basis — I personally know not one physician in a thousand who behaves the way that every attending physician in this show behaves. This anti-doctor sentiment appears to be at least partially intentional. On Twitter, co-creator Holden Jones has stated her intent to make physicians feel threatened, repeatedly citing a misleading and disputed statistic that doctors are a leading cause of death. Even still, if doctors were being demonized a little for the sake of advancing patient care I might be able to accept it. However, claims that the show is using anti-doctor plots to advocate for patient rights ring hollow given the fact that patients themselves do not fare much better in the hands of scriptwriters. I cringe to think that the audience may interpret these portrayals as representing how the average physician sees their patients. In epic shows like “ER” and “Grey’s Anatomy,” patients were sympathetic, nuanced and intelligent. They had agency. Here, I am struck by the condescending and sometimes hateful lens turned on human suffering: a woman with a substance use disorder screams for a high dose of Dilaudid — a potent, addictive opioid — and is mollified by our smirking chief resident with an offer of a slightly lower dose; a morbidly obese, diabetic man binge eats as his necrotic toe falls off and tumbles to the floor; a rectal exam performed under duress on a compliant, unnamed patient, is equated jokingly with a sexual act — in front of the patient. It’s not just that these “humorous” situations are exaggerated or inaccurate. It’s that they are utterly dehumanizing. I cringe to think that the audience may interpret these portrayals as representing how the average physician sees their patients. Medicine has many problems. We struggle under an unwieldy, overpriced system that leaves too many patients vulnerable and exaggerates socioeconomic disparities. Physicians are buckling under the weight of ever-increasing regulations. The need for parsimonious use of medical resources clashes with our intensely toxic medicolegal environment. Certainly there is a perpetual need for the reduction of medical error and improved efficiencies; but this is openly acknowledged by healthcare providers and is the target of many initiatives, as well as the Joint Commission (the accrediting body for hospitals). Where is the urgency for dramatic exposé? The Resident” interprets medicine as an inevitable path to a practice that is exploitative, unsafe and unprincipled. 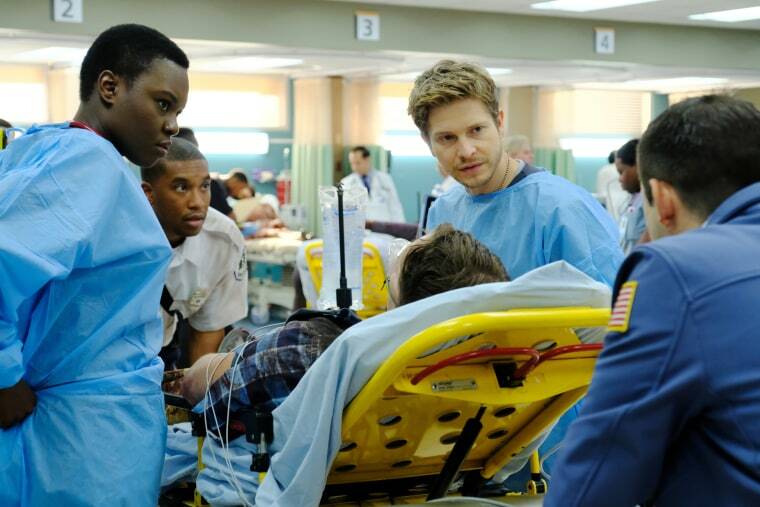 “The Resident” creates fervor over rare incidents in dark corners of hospitals. Those events are less interesting and frightening than the health harms happening daily and directly in the public eye, in particular, the growing belief in pseudoscience over evidence-based medicine. Interested in deadly, preventable consequences? This year’s flu has killed a mounting number of children, and most of the fatalities have been in those who did not receive the flu vaccine. I have written before about the problematic effects of overly positive portrayals of medicine on TV. For example, TV physicians revive people from cardiac arrest about 75% of the time, compared to the actual survival rate of less than 10%, creating unrealistic expectations that can be devastating for loved ones. However, overly negative portrayals of medicine can be harmful, too. I love shows that reveal and explore doctors’ struggles with error, self-doubt, bias, emotion and conflict. But I also believe that most are committed to their Hippocratic Oath to serve patients and do no harm. By making bad players prototypical, “The Resident” stokes fear of medicine, when what we desperately need is reassurance and a rebuilding of trust. As a war on science rages on in our country, this show feels like a most unfortunate and untimely addition to the medical drama genre. Dr. Esther Choo is an emergency physician and researcher who studies health disparities, substance use disorders and gender bias. An associate professor in the Center for Policy Research in Emergency Medicine at Oregon Health & Science University, sheis also co-founder of Equity Quotient, which measures metrics of gender equity in healthcare organizations. She tweets at @choo_ek. Dr. Esther Choo is an emergency physician and researcher who studies health disparities, substance use disorders, and gender bias. She obtained her M.D. from Yale University, did her clinical training at Yale-New Haven Hospital and Boston Medical Center, and completed a health services research fellowship at Oregon Health & Sciences University. She has published over 65 research manuscripts on substance use disorders, health disparities, gender bias, and emergency care. She serves on the executive board of FeminEM.org and Women Physicians For Humanity, and started the #DoctorsSpeakOut project capturing the opinions of physicians about the Senate health care bill. She also created the #thatsbias hashtag to advance discussions of gender bias in medicine, and #codehate to raise awareness about racism in the healthcare setting.